You can always find a wide variety of breeds at Orphans of the Storm®, but there just so happens to be quite the collection of Hounds right now! Orphans of the Storm® also gets its share of purebreds–you just have to keep an eye out if there’s a particular breed you’re looking for! 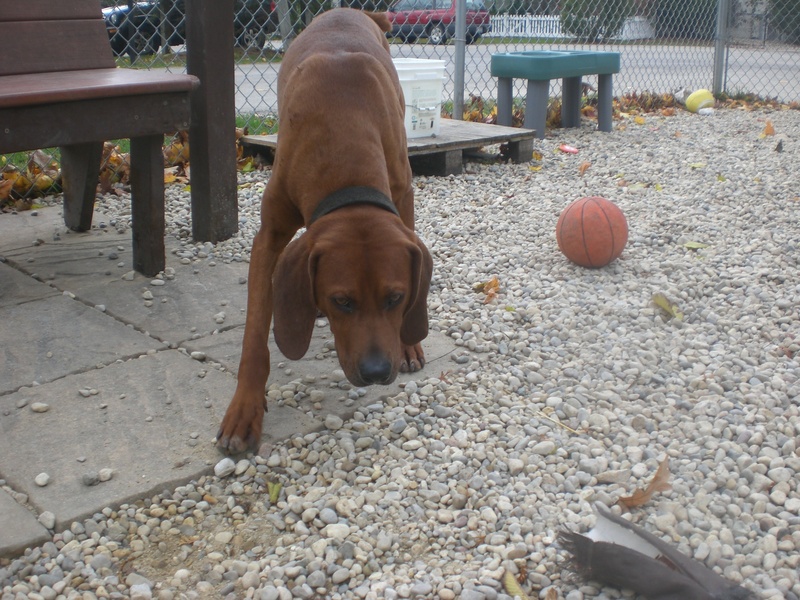 Rigby the one-year-old Redbone Coonhound mix is a very polite pooch. He waited patiently while his leash was put on, he walked pretty nicely on the way to the off-leash run, and he gave the dog in the run next to ours a friendly sniff and tail wag. Rigby has a bit of a crooked tail, but that doesn’t stop him from wagging it almost constantly. It wagged whenever he saw a new person or a new dog. Rigby has such pretty fur! Rigby enjoyed following his nose around the run and investigating behind the bushes. When it was time to put the leash back on, though, Rigby’s attention turned to me. He even decided after a few minutes on our walk that he was comfortable enough to give me a nice doggy kiss. Rigby has such a cute, sweet face and a sweet personality to match. Come by the shelter soon to meet Rigby! 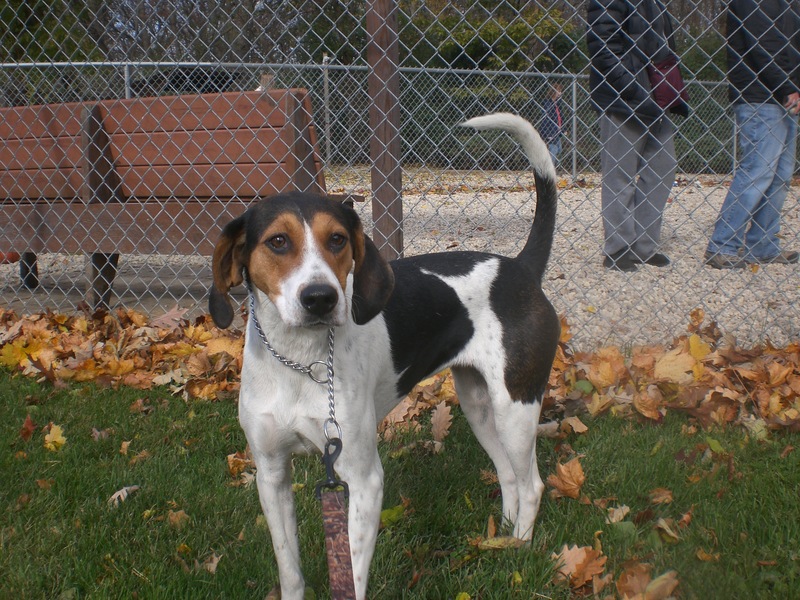 Winnie the one-year-old Hound mix is a playful little girl. She was stretched out on her doggy bed when I first stopped by her kennel, but as soon as she realized she was going for a walk, she was up and at ’em! Since Winnie is still in her puppy phase and probably hasn’t had too much training, her leash manners aren’t the best–but she is certainly ready to learn. Winnie is a dog that will make you smile. She has a funny habit of jumping around and then sitting perfectly. When you start petting her, she will lean all of her weight (which isn’t very much) against you so you can pet as much of her as possible. She is certainly a people-dog! She thought another volunteer’s water bottle was a toy, but didn’t mind when I took it away from her. Instead, she just wanted to cuddle. This cutie-patootie is more than ready to join a family and bring them years of happiness. Stop by the shelter soon to see if Winnie is the girl for you! 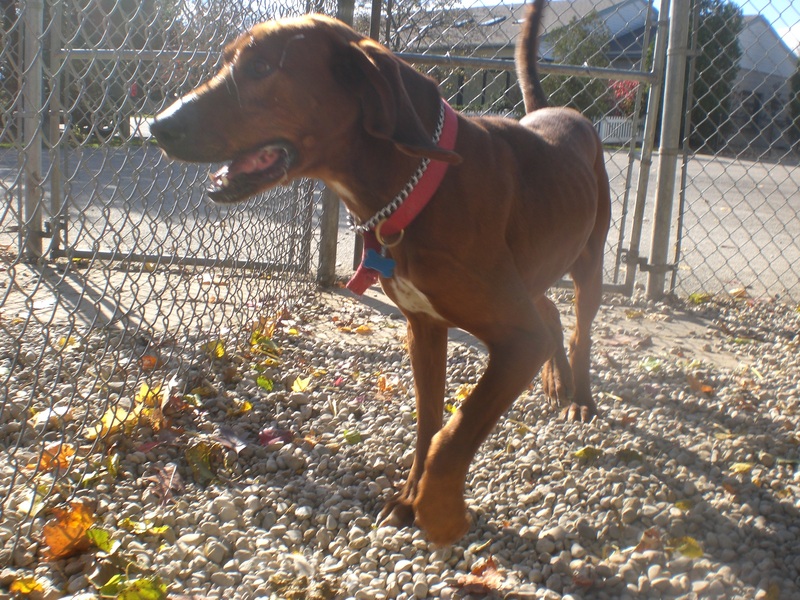 Old Red the six-year-old Redbone Coonhound mix is a Hound through and through. If you’re looking for a dog who will happily hit the trails with you, Old Red would be an excellent candidate. 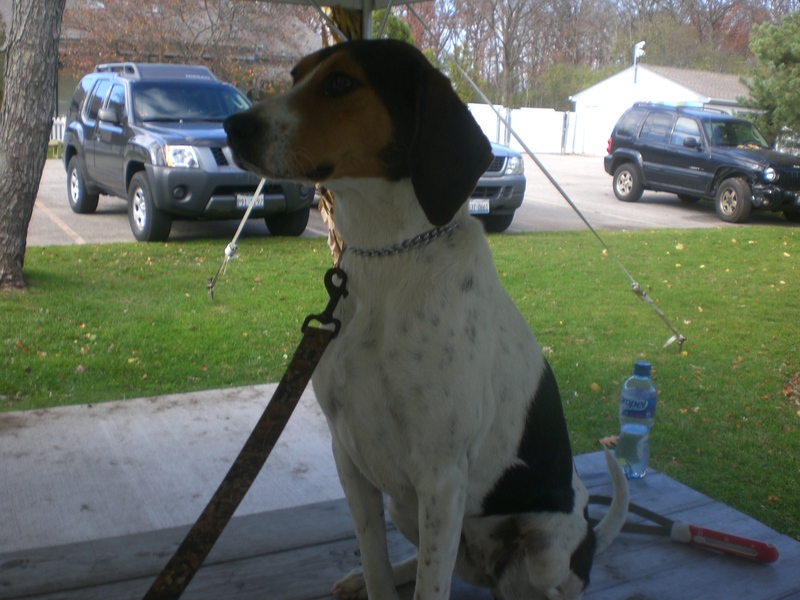 He has plenty of energy and plenty of endurance, so he would love to go to a home that will give him plenty of exercise. 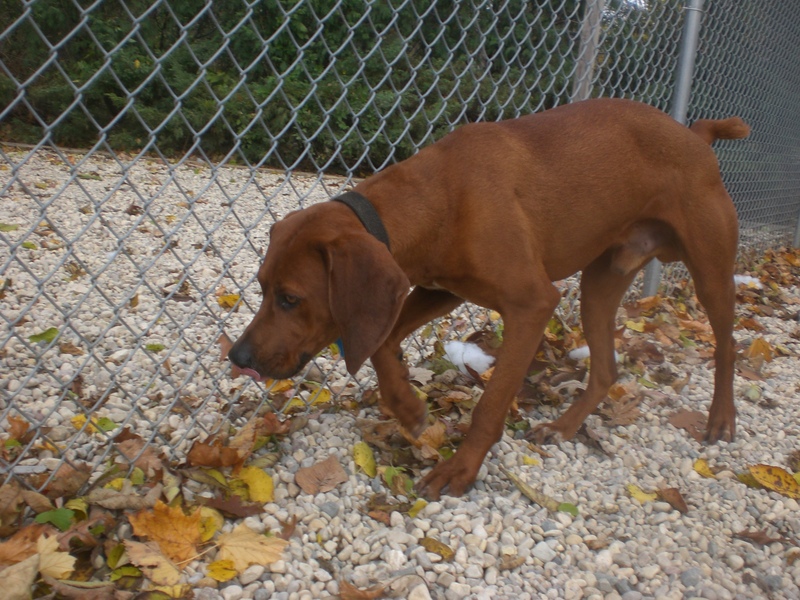 He would also love a home with a big yard (preferably one with a high fence) that he can explore. Old Red is all about following his nose. While we were in the off-leash run, he went to the back corner where the woods meet the edge of the shelter. There must have been something in the woods, because Old Red did the signature Hound howl and very much wanted to climb over the fence to find whatever it was. Old Red reminded me of the dogs in Where the Red Fern Grows, which is quite the compliment! Come in soon to say hello to Old Red! 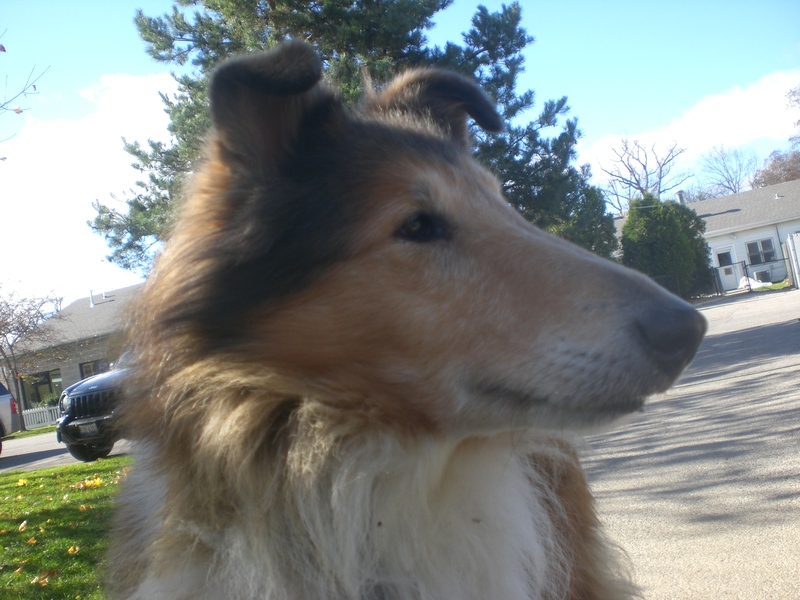 Lassie the nine-year-old Rough Collie is an absolute sweetheart. I thought a purebred Collie would have been adopted the second it came into the shelter, but for some strange reason, Lassie is still here. What’s not to love about her? She is super gentle, super easy to walk on the leash, and just an overall super dog who would make her namesake proud! She seems a little sad at the shelter right now, but she will certainly cheer up when she finds her new family. This Lassie will rescue you once you rescue her! Lassie is such an easy dog to get along with. Did you know that November is Adopt a Senior Pet Month at Orphans of the Storm®? Lassie’s age might be the only thing that’s prevented her from being adopted already, but there are so many benefits to adopting an older dog like Lassie. As I mentioned, she is extremely calm and knows her manners. She knows what it takes to be a good family pet. All she needs is a family that’s willing to welcome her into a new furever home. 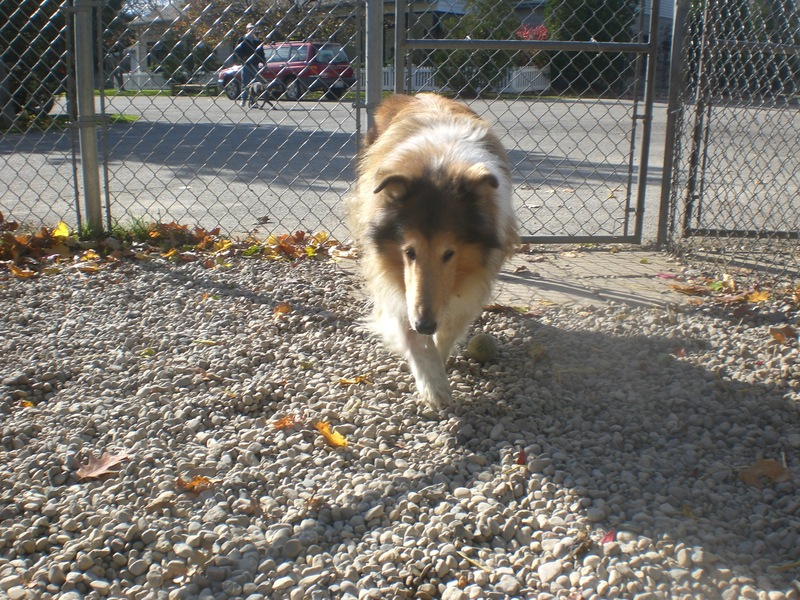 If you think that home could be yours, come in quickly to meet Lassie! I also saw my furry friends Ares, Corky, Daisy (who gets along well with other dogs), Ebbie, Javan (who is such a good boy–I have no idea why he keeps getting passed over! ), Luciano (who loves people and isn’t shy about showing it), Lucy, Rosco, Scotty, Shamrock (who has been at the shelter five years too long), Shasta, Shogun (a great example of a senior dog who still has plenty of pep in his step), Sweet Pea, Tom-Tom, Topaz (who is super affectionate), Tucker (who gave me a sweet doggy hug), Wilbur (my favorite! ), and Zoey. 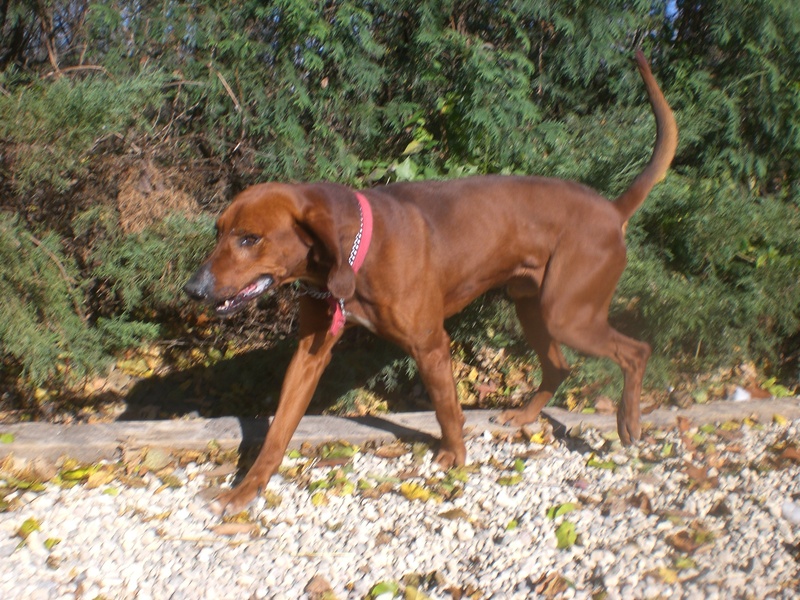 Posted by Meet the Pooches on November 6, 2014 in Dog Profiles and tagged adoption, animal shelter, animals, Chicago, Collie, dogs, Hound, Orphans of the Storm, pets, Redbone Coonhound.